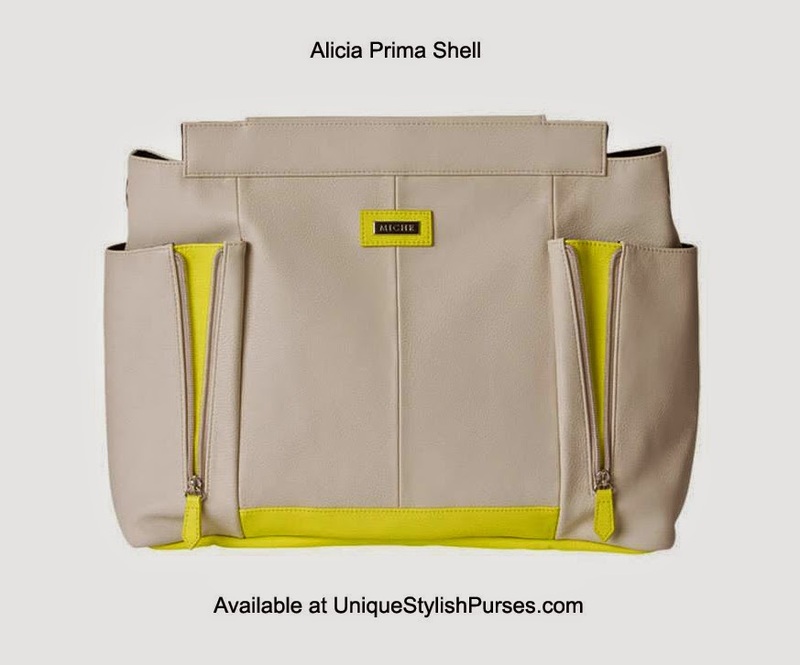 Neon citrus detailing on the Alicia for Prima Miche bags is destined to stop traffic and make you feel happy, happy, happy every time you wear her! Ultra-soft light almond faux leather features decorative zippers on the front, revealing her peek-a-boo neon yellow surprise underneath. Silver hardware and side pockets.